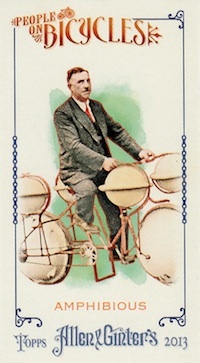 Topps Allen & Ginter is well-known for the random and sometimes-bizarre inserts and hits that populate the product. 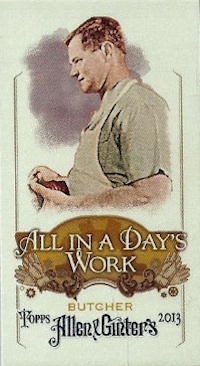 2013 Allen & Ginter Baseball is no different. 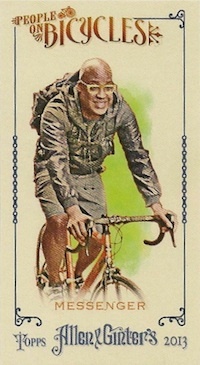 Also carrying over from previous years, a few unannounced mini insert sets have emerged. 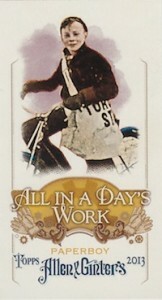 These include People on Bikes and All in a Day's Work. 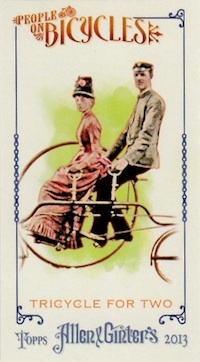 Both are straightforward in their descriptions. 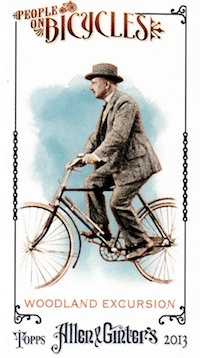 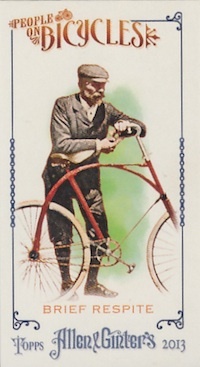 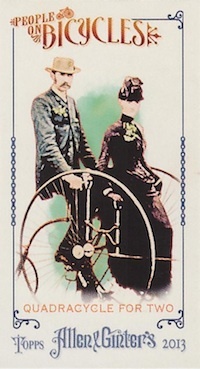 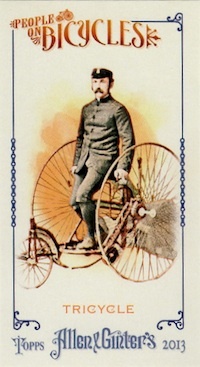 The People on Bikes set includes ten cards specific to scenarios where people ride bikes, such as paperboys and triathletes. 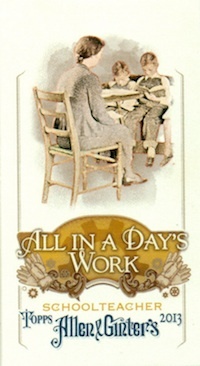 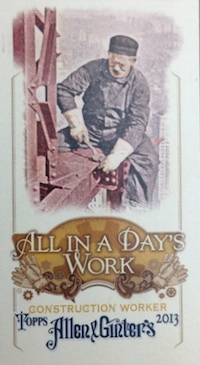 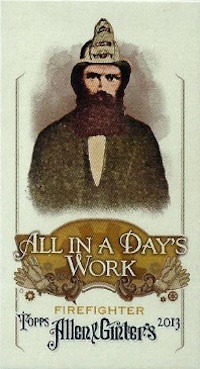 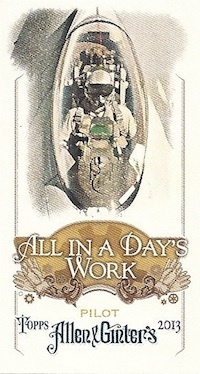 All in a Day's Work documents ten common occupations, including nurses and firefighters. 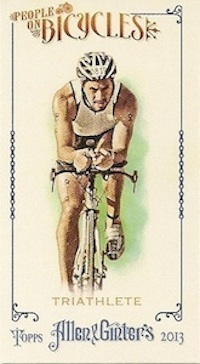 While they are popping up online in greater numbers, only a few of each card are currently listed. 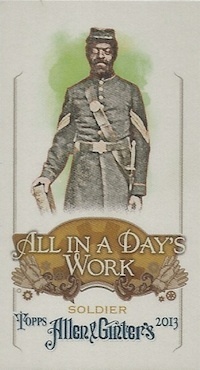 Neither set was included on the final checklist or listed on the hobby pack odds. 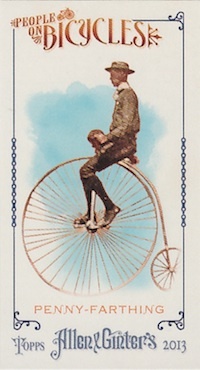 These hidden elements are part of what makes Allen & Ginter such a fun and popular product. 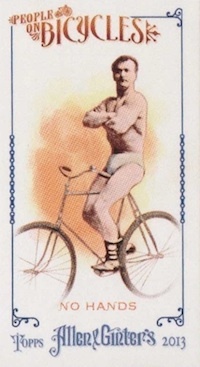 Plus, there is always the curiosity about which particular items deal directly with the Ginter Code. 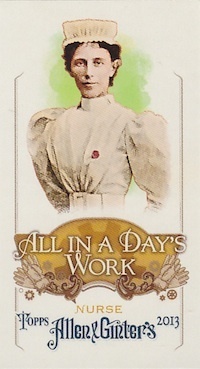 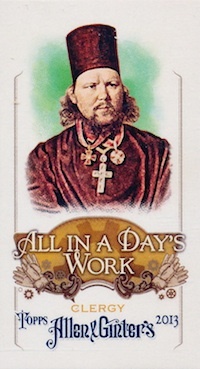 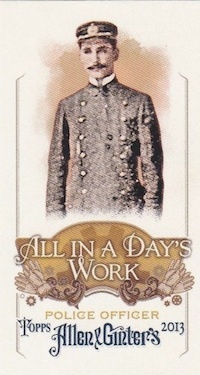 For now, enjoy the full checklist and image gallery for these off-beat mini inserts from 2013 Allen & Ginter Baseball.